A VRC works with the Veteran to complete a determination if an employment handicap exists. An employment handicap exists if the Veteran's service connected disability impairs his/her ability to obtain and maintain a job. Entitlement to services is established if the Veteran has an employment handicap and is within his or her 12-year basic period of eligibility and has a 20% or greater service-connected disability rating. If the service connected disability rating is less than 20%, or if the Veteran is beyond the 12-year basic period of eligibility, then a serious employment handicap must be found to establish entitlement to VR&E services. A serious employment handicap is based on the extent and complexity of services required to help a Veteran to overcome the significant restrictions caused by his or her service and non-service connected disabilities, permitting the return to suitable employment. A rehabilitation plan is an individualized, written plan of services, which outlines the resources and criteria that will be used to achieve employment or independent living goals. The plan is an agreement that is signed by the Veteran and the VRC and is updated as needed to assist the Veteran to achieve his/her goals. After a plan is developed and signed, a VRC or case manager will continue to work with the Veteran to implement the plan to achieve suitable employment and/or independent living. The VRC or case manager will provide ongoing counseling, assistance, and coordinate services such as tutorial assistance, training in job-seeking skills, medical and dental referrals, adjustment counseling, payment of training allowance, if applicable, and other services as required to help the Veteran achieve rehabilitation. How can I get paid the Post-9/11 GI Bill rate for my Vocational Rehabilitation program? 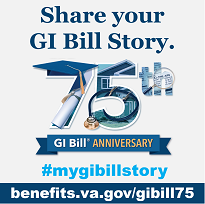 A Veteran participating in the VR&E Program who qualifies for Post-9/11 GI Bill benefits can elect to receive the GI Bill rate of pay instead of the regular Chapter 31 subsistence allowance. In most cases, the GI Bill rate is higher than the regular Chapter 31 rate of pay. To elect the GI Bill rate, the Veteran must have remaining eligibility for the Post-9/11 GI Bill, and must formally choose (or “elect”) the GI Bill rate. Your VRC can help you with election. Veterans participating in the VR&E Program who elect the Post-9/11 rate are paid at the 100% rate level for their school and training time, even if their Post-9/11 GI Bill eligibility is less than 100%. Additional benefits are also available through the VR&E Program, such as payment of all required books, fees and supplies as well as other supportive services.